Every collector has thought about making some sort of a diorama for their collection. 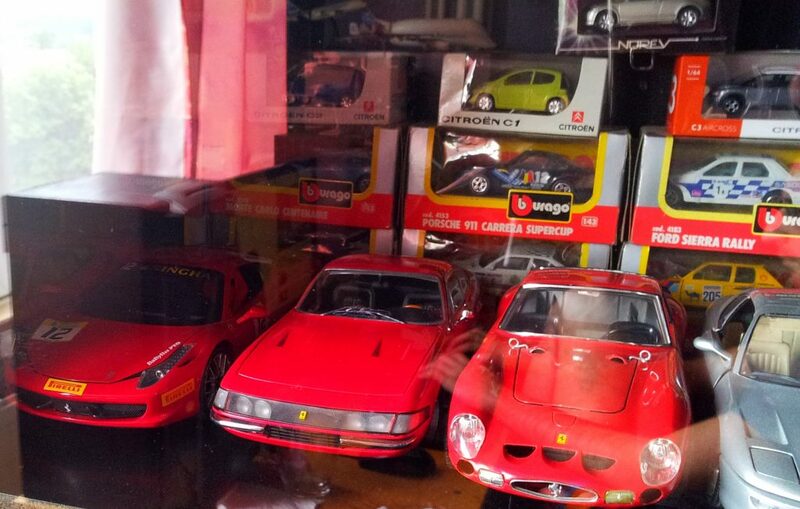 It is one of the best ways to turn your diecast utopia into a reality even if in a relatively small scale. There are countless of options when it comes to building dioramas. There’s only one true limit and that’s space. Even if you start building your diorama in a very small scale, if you get overzealous, you will quickly realize that your room is full. Then there’s the financial issue. Most dioramas are not that expensive, but if you want extra features or working trains, lighting and other electronics, then it gets pretty expensive and quite quickly at that. Happily a bit of smart money planning will go a long way. You can save a lot if you build most of the stuff yourself which, I admit, will prove challenging at first. But with time it will become easier and easier and the great part is you will expand your skills in areas you wouldn’t have dreamt which is helpful not only in the hobby. Automotive-related dioramas usually are easy to make as they don’t need that much space. Say a garage, service center or even a race track corner or two, can fit easily on a table top, even for the bigger scales. They are also relatively cheap to build as most accessories are readily available and you can use many household materials for the actual building process. Generally the principles of building dioramas are the same no matter if it’s a railroad project, automotive and etc. The main differences are in the use of electronics and that generally railroad tracks require quite an extensive preparation and a lot of calculations in order to place the tracks properly. The actual buildings and surroundings though are generally made the same way. Automotive dioramas in bigger scales are at a slight disadvantage because in most cases there aren’t 1:18 buildings or they are insanely expensive. Either way it is better to build them yourself and customize them as you wish. Dioramas are a fabulous way to expand your hobby. Generally they start as an exception to the rule of collecting. You keep seeing them everywhere and think how some of your models will look in one. Slowly you start planning how and what you would make and before you know it you’re building several projects at the same time. This section of the site will be dedicated to the art of diorama building. You can find ideas and tips, work in progress pictures, finished projects and etc. Of course you will be able to share your own projects here. You can do so by contacting us and sending us a few pictures and details of your dio and we will make a special page for it where everyone can see it and make comments.